Are you looking for fun and unique gifts for the man that has it all? That’s definitely my struggle, too! Check out this list of top gifts for him, and mark some of those guys off your list! 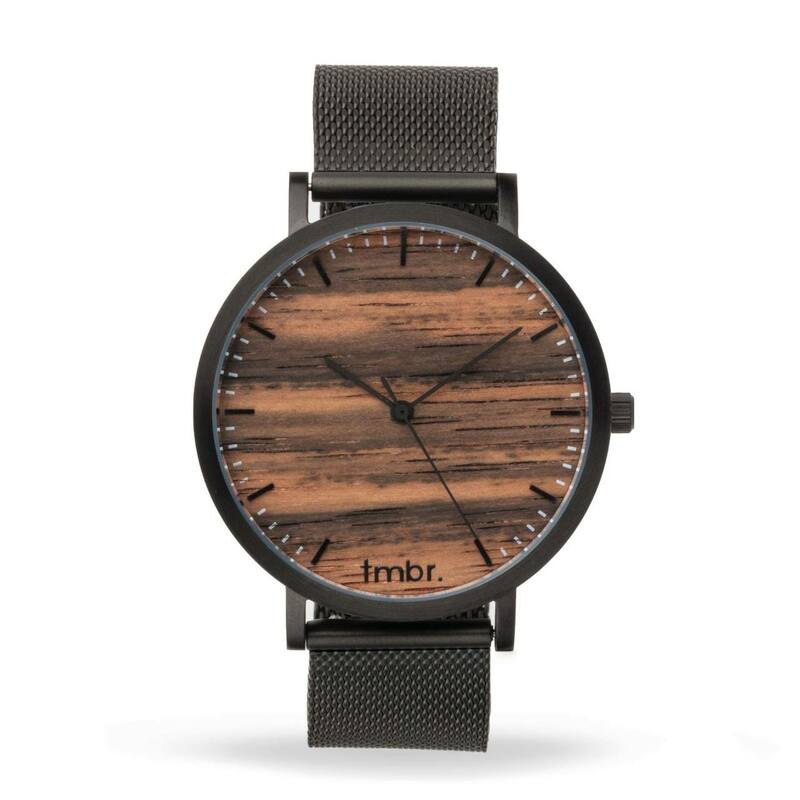 The tmbr Helm Matte Black & Sandalwood watch was designed as a daily use timepiece. The minimalist design allows for use with casual attire or can easily transition to something more refined. The concept focuses on the natural beauty contained within the grain of the wood dial. Features include: Japanese Quartz Movement, Hardened, Scratch Proof Mineral Glass, 100% Genuine Calfskin Black Leather Strap, Water Resistant to 50m and more. The Tire Inflator from P.I. Stores is a superior new, best in class pump that has a powerful 35 l/min air-flow. It’s capable of inflating a mid-sized car tire from flat to 30 Psi in under 3 minutes (time varies upon tire size). The pump is also the quietest in its category and has improved reliability. The tire inflator is simple to use — just plug it into your 12 Volt cigarette lighter socket or other 12 V outlet, easily set pressure on the LCD display gauge and connect to tire valve with the NEW quick connector. 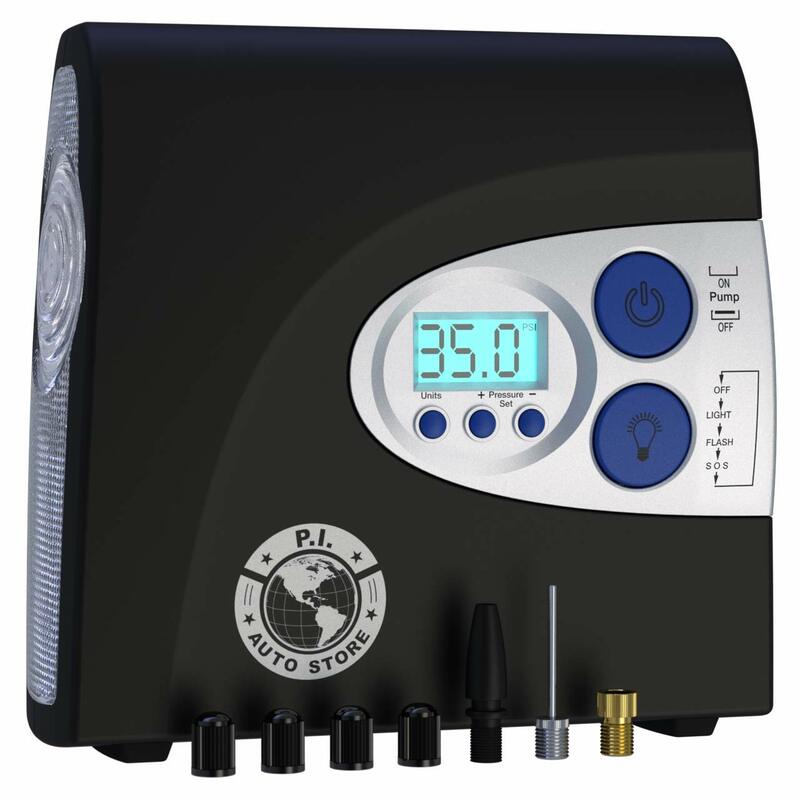 The microprocessor monitors tire pressure and will automatically stop at your set pressure +/- 1Psi at 35 Psi, which removes the need to keep checking the pressure and avoids over inflation! The endless search for the perfect fitting dress shirt is over – even for muscular men and bodybuilders. Men’s clothing brand, Bradley Allen Physique Tailored Apparel, launched a new line of dress apparel tailored for bodybuilders and muscular built men. It’s the perfect Father’s Day gift for men with muscular “V” shape physiques: wide shoulders, large arms, small waist. Designed by athletes for athletes, Bradley Allen Apparel offers stylish dress shirts designed with state-of-the-art fabrics that are tapered to provide a polished fit to accentuate the body type of a bodybuilder. The shirts are made from athletic performance fabric, which includes a blend of cotton and spandex. Bradley Allen Physique Tailored Apparel offers an easy measurement guide to ensure that your shirt will fit you right where you need it for that tailored look you desire. The dress shirts cost $90 each and are available in three colors: solid white, black and blue. Made of eco-friendly and sustainable MicroModal (created from Beech tree pulp), these undies from Bunch of Animals are 3x softer than cotton and 50% more absorbent and breathable — plus, they keep their shape! Every month, the brand unveils 3 new designs created by artists from around the world. Each of the prints are seamless and incredibly vibrant, making each pair truly a work of art. For those Dads who are interested in cars, boating and the outdoors, the new CTEK CT5 Time To Go battery charger is the perfect Christmas gift. It recently won “Best Battery Charger” from one of Europe’s leading car magazines. Using a unique charge algorithm, CTEK Smarter Battery Chargers go through 8 steps to constantly read and communicate with your battery, charging only to its direct needs and therefore avoiding any possibility of incorrectly charging the battery. Furthermore, by ensuring the battery is conditioned as well as charged, your batteries last significantly longer. Moreover, each CTEK Smart Battery Charger regulates mains voltage to protect any sensitive electrical and hi-fi equipment. The Model Tee Pinstripe LS is a Limited Edition collection symbolizing the launch of the GETTEES Factory. They incorporated a classic American pinstripe design on the back of the neckline to proudly display the Made In Michigan tag. The shirt is equipped with trimmed cuffs and reinforced seams and designed to be the best shirt on the market, no matter the price point. To see the line of short sleeve tees and long sleeve tees available at Get Tees, visit their store online. Stay tuned for more products from our sponsors.